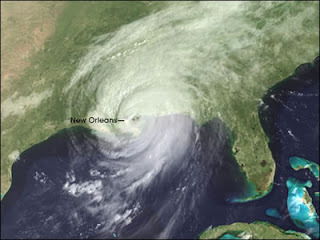 Today marks the 4th Anniversary of Hurricane Katrina making landfall in New Orleans. There's a variety of news coverage including President Obama's weekly radio address. Hard to believe that it has been 4 years. I saw an interesting article with all sorts of then/now photos of New Orleans (I don't remember where). Some parts were amazingly rebuilt, while others still have a long way to go. I'd love to see the population stats from before and after Katrina, as I know of a couple of people at least who left and never went back. I'm sure there must be many more.